Italiannies' pasta is delicious. I love it, especially the Bowls of Pasta promo! 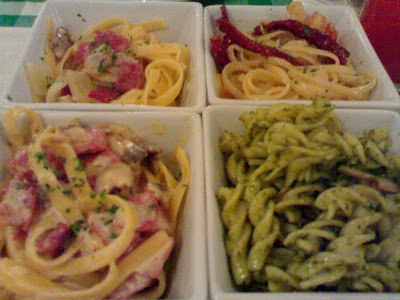 Clockwise from top left: Clams & Beef Bacon, Chilli Shrimp, Fussili Pesto & Mushroom, Classic Carbonara. due to ur charm? ^__^ Charmie Joycie..
lol... no la. 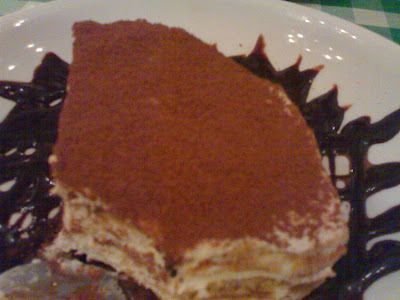 It's because I got a free dessert "voucher" from last time. :D Ending 2008, so kena guna lor.